PLEASE USE THE BACK BUTTON OF YOUR BROWSER WHEN USING THIS PAGE, and not the navigation contained within the website for browsing species etc., thank you. The list here has been made because of the volume of new species washing up on the beaches around the UK , winter 2015/16, that have originated from the east coast of the United States of America, Gulf of Mexico, Caribbean or beyond. Only rafting species have been listed, so animals that depend on either wood, seeds or flotsam e.g. plastic refuse and fishing gear, for getting across the Atlantic. Most cosmopolitan species have been left off the list. These are species that occur on both sides of the Atlantic. Pelagic species such as Gooseneck barnacles (Lepas) have been added, as these are frequently found on the shore and may come from a south-westerly direction, they also may be associated with trans-atlantic rafting species. The list of molluscs and other species above has been produced to promote the current stranding of non-native species on our shores, its purpose, to alert beachcombers, scientists and the wider general public, of what is happening. Its main intent however is to alert those who regularly visit beaches and who may find such species, as it is important that we make the best inventory possible. Because the information here is mainly for the general public I must remind those who write scientific papers that permission is needed to reproduce or part reproduce any list that appears here. 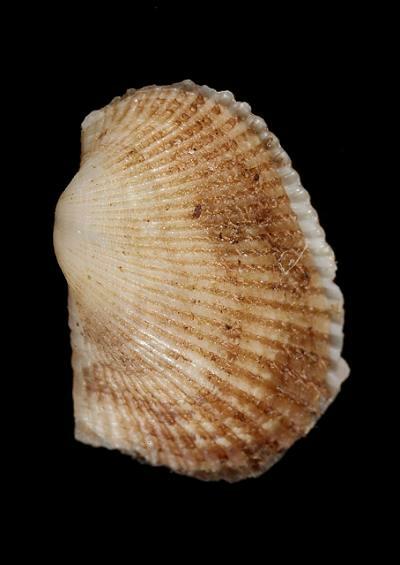 Membranipora tenuis Desor, 1848 ? There are likely to be hundreds of species of algae, some microscopic, that cross the Atlantic on items of flotsam, which is why I'm not going to attempt to mention them all here, but just mention two or three interesting ones. There are many other molluscs and other species that could turn up in the UK, either on plastic flotsam, floats, buoys, orange or other colours of Scotty bait jars, fishing gear or on logs etc., the list above is just a general guide. species the following book is highly recommended.